With a big hotel bill racking up and the cost of food and drink to think about, sometimes it’s difficult to fully unwind whilst on holiday. But opt for a gorgeous all-inclusive resort and you’ll find that relaxing becomes a whole lot simpler. All over the world you’ll find a variety of luxurious hotels and resorts offering an all-inclusive getaway, including food, drinks, entertainment and sometimes even activities to ensure that you leave all your worries behind. Fancy a care-free family holiday? You’ll find that quite a few all-inclusive resorts will include kid’s and teen’s clubs in the offer too – meaning you can safely leave the kids to have fun whilst you sip on complimentary cocktails. 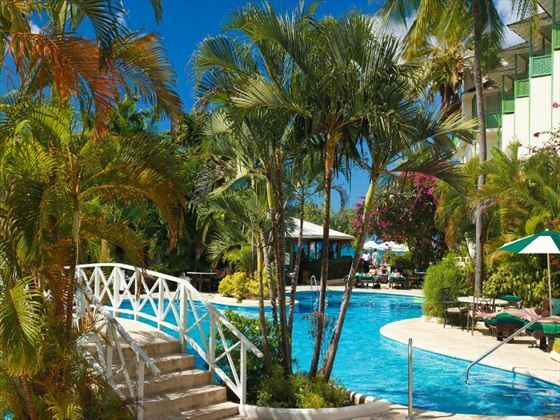 Great value for money, stress-free and luxurious – all-inclusive is the way to go for an easy-going holiday. Here are 10 of our favourite worldwide all-inclusive escapes to enjoy. 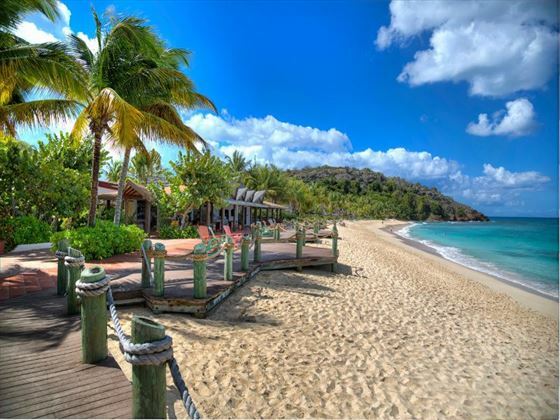 Framed by crystal-clear coral reefs and white sand beaches adorned with swaying palms, you’ll feel like you’ve landed somewhere special before you’ve even reached your all-inclusive hotel in Antigua. In between indulging in complimentary food and drink whilst lazing by the pool, be sure to explore the island’s incredible mountain lookout points – it’ll make your All-Inclusive stay even sweeter. All-inclusive doesn’t have to mean overly fancy and pretentious. Discerning travellers hoping to find a humble yet refined getaway will fall in love with Galley Bay, a tropical oasis nestled along a lagoon abundant in exotic birdlife, with rustic yet luxurious architecture and fun cocktail parties and barbecues included. 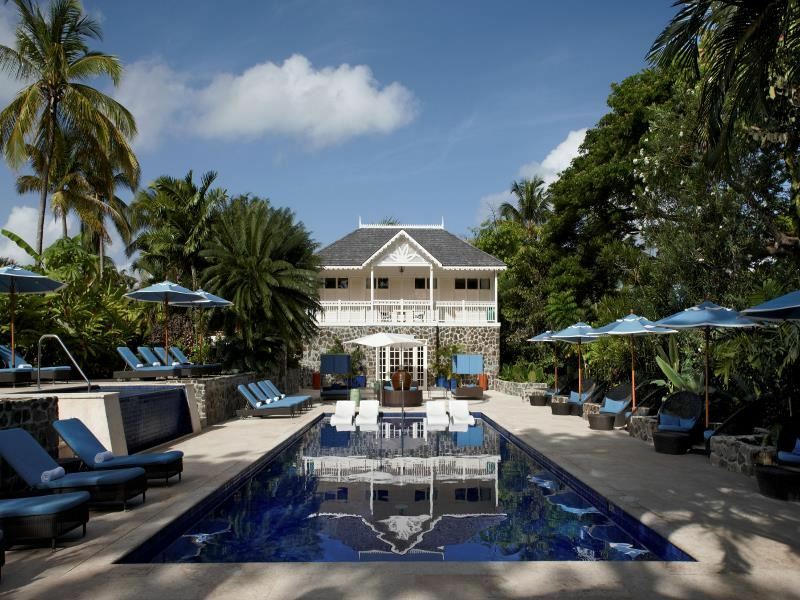 Leaving the trouble of hotel bills behind, an all-inclusive hotel in St Lucia keeps your days free to explore the luscious beaches, try the freshly caught seafood, and just generally enjoy the warming sunshine. Many all-inclusive hotels include activities too, giving you ample chance to go beyond the comfort of your sun lounger. Sometimes you just truly want to indulge when venturing on a romantic break with your loved one, and we find that Rendezvous is one of the best when it comes to creating a beautiful ambience whilst also offering a great deal. This is one of the few all-inclusive hotels that offer motorised water sports too – usually you need to pay an extra supplement. Dramatic views of limestone rocks jutting out of the azure ocean, friendly towns full of authentic charm, traditional architecture steeped in history, bustling markets full of colour…there’s so much to see and do in Thailand. 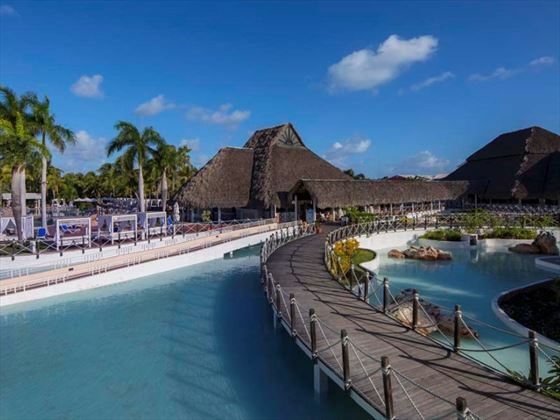 Make sure you have all the time in the world to discover this destination’s beauty by booking an all-inclusive resort, adding a bit of extra pizzazz to your once-in-a-lifetime trip. All-inclusive doesn’t have to mean skimping on authenticity. 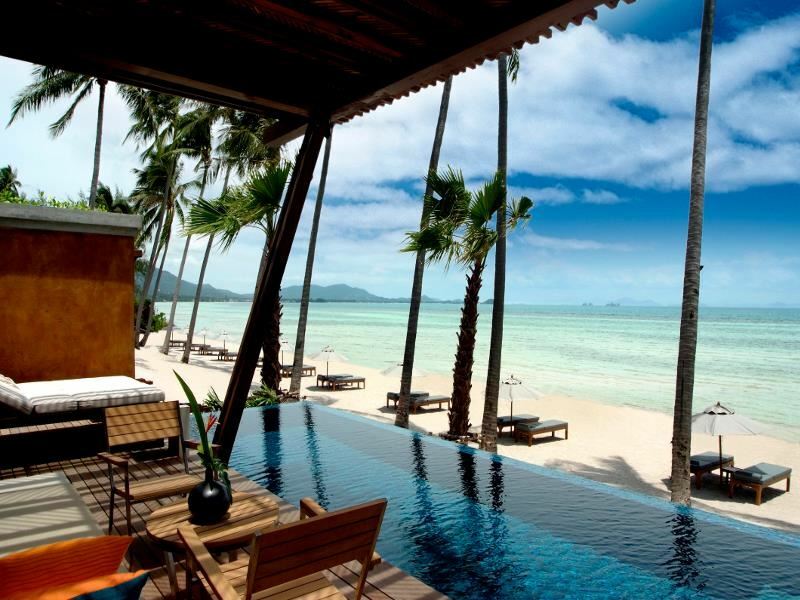 Mai Samui is an excellent example, fusing traditional colonial style architecture with modern, stylish amenities to create an indulgent feel. We love the homemade ice cream that’s given to you as you relax by the pool, and the selection of all-inclusive dishes on offer at three of the restaurants. 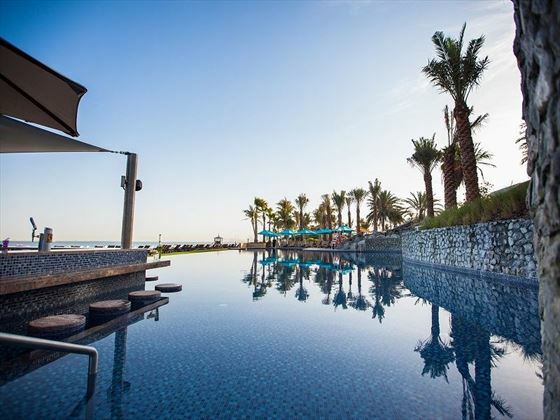 Fusing traditional Arabian architecture with glitzy and glamorous resorts, Dubai and the Emirates’ all-inclusive hotels add even more indulgence to an already lavish destination. You won’t need to worry about a thing as you sunbathe on private beaches, dine on decadent cuisine, and laze around in stunning pools. All-inclusive is quite a new construct here, but they’ve certainly gone to town with what they’re offering. If fun activities followed by decadent food and drink is your forte, you’ll quickly fall in love with everything JA Palm Tree Court has to offer. Whether you’re feeling the adrenaline with a cool water sport, playing a leisurely round of golf, or even trying some clay pigeon shooting, this luxurious hotel has got you covered after a day of working up an appetite with its 12 restaurants and bars. All included with your stay, of course. Remove the stress of planning and money counting in Bali and you’ll be left with a peaceful adventure full of sunbathing, rainforest exploring, World Heritage site discovering, and learning about the country’s rich culture. Basically, going all-inclusive in Bali makes way for all the unique and unforgettable activities the destination has to offer. Sol Beach House Melia Benoa not only offers food, drink, entertainment and non-motorised water sports with its All-Inclusive basis – the location is second to none, too. 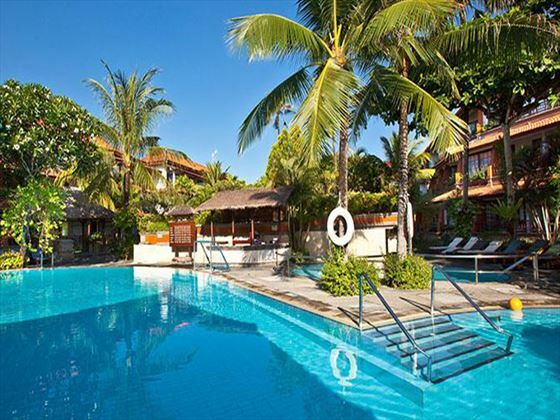 Nestled amongst Tanjung Benoa’s pristine white sand beaches and exciting water sports, this luxurious hotel is close by to a traditional fishing village, perfect for those hoping to add an extra dose of culture. Catering to your needs and still offering that intimate and personalised touch, the all-inclusive hotels in Barbados are truly fantastic. Whether you’re exploring the rugged east coast, sunbathing on the sugary sands of the west coast, or swimming in the calm seas in the south, no doubt you’ll find a lavish hotel that suits your style and budget. Sitting on the expansive patio, tucking into a delicious barbecue and gazing at the endless ocean views, joining in with a trendy cocktail party and making new friends, embarking on a wonderful catamaran cruise to snorkel with the turtles, and listening to cool live music each night…Mango Bay truly knows how to pamper its guests. 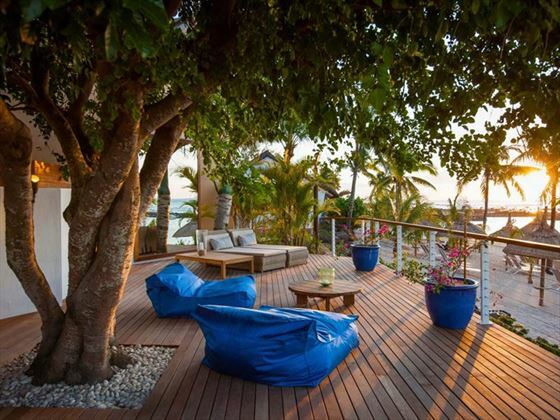 With such unspoilt landscapes and luxurious hotels, Mauritius certainly looks and feels like a luxurious destination. Journeying to an all-inclusive resort makes this island nation much more accessible, offering great value for money and the extra bonus of having a hassle-free stay. All you’ll need to worry about is spotting turtles as you snorkel in the reef. The amazing feeling of walking around barefoot at Veranda Point Aux Biches is already luxurious enough, but add in the flavoursome restaurants, stylish bars, wild water sports and even a picnic hamper for days out and you’ve got yourself an awesome All-Inclusive deal. Known as the ‘spice island’, it’s not just fragrant aromas of cloves, cardamom and cinnamon that Zanzibar is abundant in. 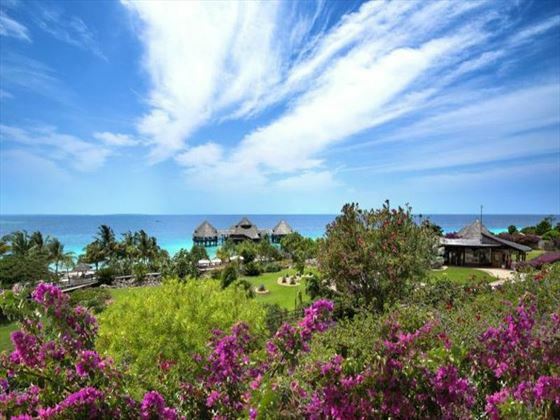 Stunning white sand beaches, rustic yet luxurious lodges, great water sports and a myriad of marine life…the tropical island of Zanzibar is well worth exploring all-inclusive. Going all-inclusive gives you ample opportunity to explore the archipelago. Diamonds La Gemma dell’Est certainly got Zanzibar’s memo for barefoot, rustic luxury – offering luxury amenities amongst traditional African architecture and thatched roofs – and the All Inclusive includes a variety of delicious dishes, chilled beers, access to the open-air gym, and even canoeing. Classic American cars, cigars, vibrant bars, and even salsa dancing – Cuba is an eclectic country full of culture and charm. Go beyond the colourful cities and you’ll find miles upon miles of astonishing white sand beaches, enticing many to simply relax on a lounger and soak up the sun. Combine that with the luxury of food, drink and entertainment, and you’ve got yourself the perfect all-inclusive Cuban getaway. Varadero’s impossibly pristine coastline is Cuba’s most popular beach area, adorned with a variety of charming All-Inclusive hotels. Royalton Hicacos Resort & Spa is a fantastic choice – teaming stunning lagoon-style pools, cascading waterfalls and a trendy swim-up bar with the brilliant All-inclusive amenities including four delicious restaurants, access to wellness facilities, and non-motorised water sports. A trip to the Maldives just oozes barefoot luxury, with days spent snorkelling, kayaking, and enjoying the powdery white sands. Staying in an all-inclusive hotel means that all you’ll need to worry about is which laidback water sport to try next, and which seafood dish to dine on under the stars. You may even get a complimentary bike too, allowing you to explore the islands at your own pace. 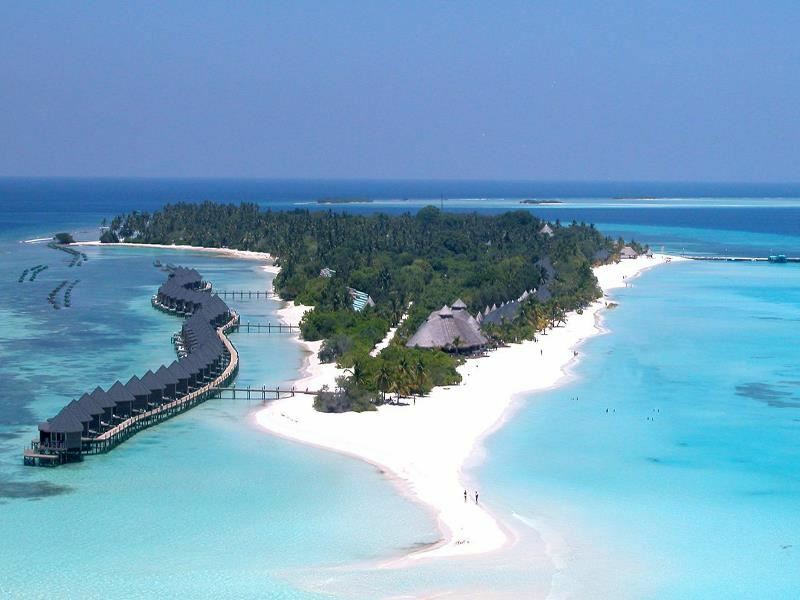 Kuredu Island Resort & Spa is a wonderful choice, especially when it comes to dining. With seven restaurants to choose from – all of which are included in the all-inclusive basis – you’ll be able to enjoy a culinary adventure here. Be sure to try the fresh Mediterranean cuisine at Franco’s. 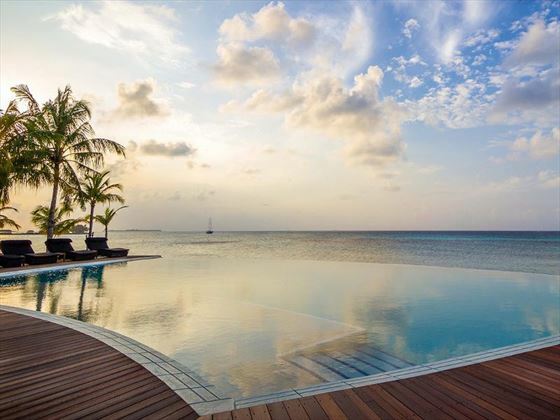 Current offer: Early Booking Offer at Kuredu Island - Save up to £550pp when you travel between 01 Nov '18 - 30 Apr '19.